Season Two, Week Two. Could we get some better wagers this week, please? This will be straightforward, given the spread of scores. Heather should wager 4,000 to cover Matthew. Matthew needs to get it right, so he might as well wager everything. Dave is out of contention for the victory. 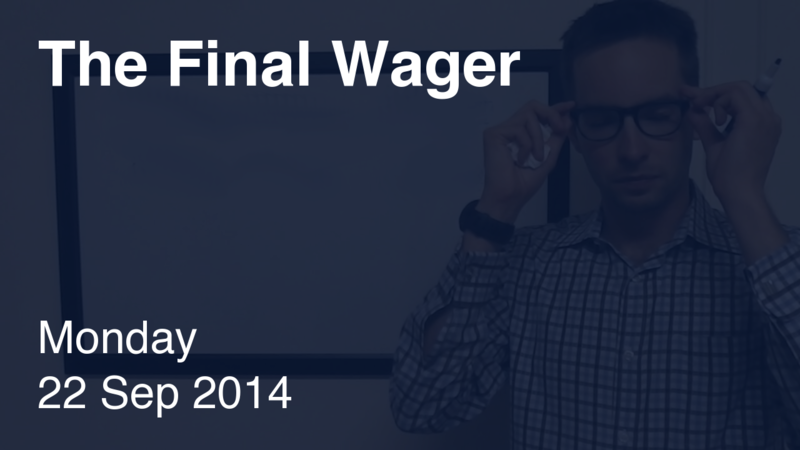 Although Matthew is best off wagering everything, he can wager at a minimum 2,200. That would leave him with 8,000 if he’s wrong. 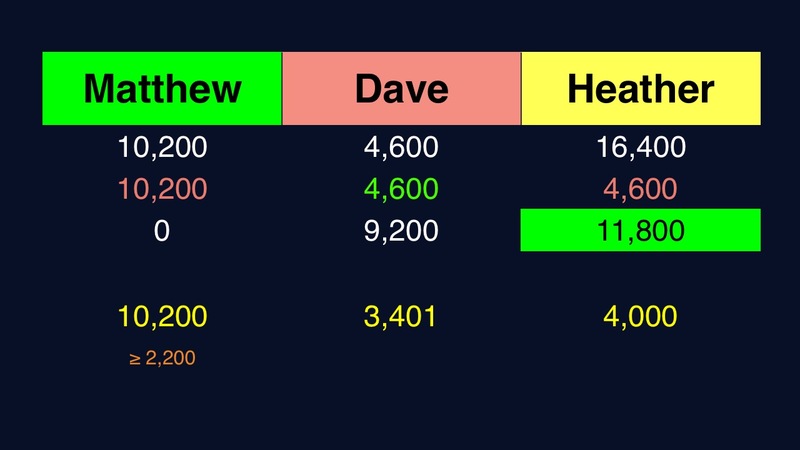 Dave should counter by wagering 3,401 to beat him out. Dave put his $1,000 bonus for second at risk with his all-in wager, but it worked out in the end for him. Too bad about that Daily Double he missed earlier in the game. Tonight was a great game…but the best part? The wagers were actually not that bad. Still could have been better though.